The water is a symbol of functional and religious life for Muslim people. 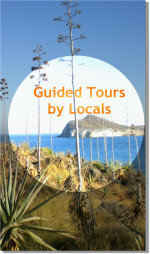 To obtain it, they came up with ingenious techniques or applied some other techniques inherited from the Mediterranean tradition, where water was not abudante. 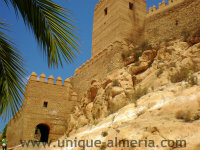 When Almeria was founded by Abderraman III, in 955, there were no springs. That is the reason why the supply of water had to be obtained by drilling wells within the city itself, until the beginning of the 11th century, when the "Alhadra" water sources were discovered and King Jayran (1012-1028) chanelled the water to the city. Closed: Mondays, Sundays and holidays. For this purpose, he built a channel of about 6,5 kilometres long. It went through farms and reedbeds and passed the city gate, "Puerta de Pechina (today called: "Puerta de Purchena"), reaching the water deposits (Aljibes) or Wells of Jayran. These cisterns were built to distribute the water throughout the city through channels and fountains. The Wells of Jayran, perhaps finished by the Kings successor Zuhayr, had a capacity of 630.000 litres, enough for the prosperous city of the 11th century. The water deposits were divided into two intercommunicated storage areas, but one of them disappeared in 1965. 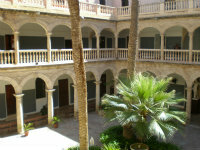 Built in brick, there are three preserved chambers, covered with a half-barrel baulted ceiling, which today is one of the valuable assets of Almeria city's heritage. These arabic cisterns were semi-subterranean and had a rectangular opening that was intended to facilitate ventilation of the water. Therefore, when entering, there is a stair which will lead you down to the well. The before mentioned opening is acting as a skylight, allowing the entrance of natural light. The floor is covered with marble, which almost for sure is from the quarries of village Macael, that has brought so much wealth to Almeria province. 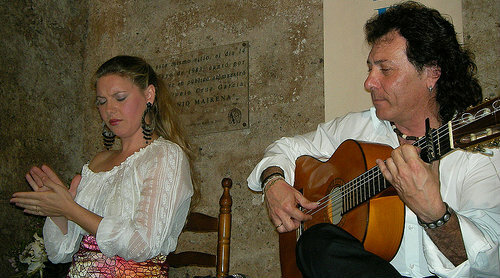 The well has been renovated to host exhibitions and it is home to a flamenco club (El Taranto). 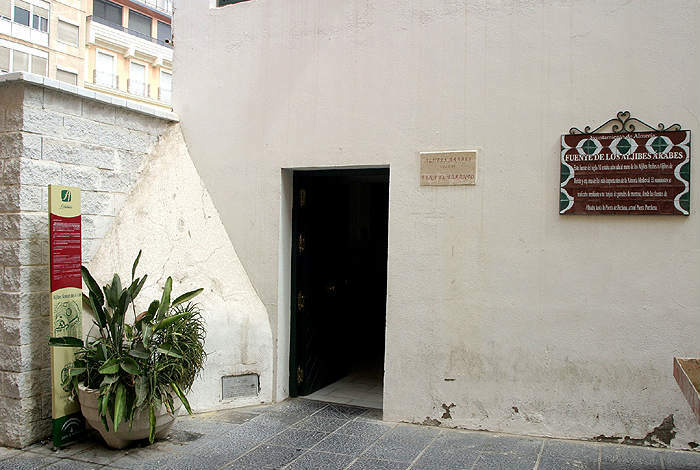 In one of the corners, you will see a "tablao" prepared for a small flamenco show together with empty chairs awaiting the rolling of guitars, clapping palms and dancing heels.